We’d respectfully (very much so) add a codicil to Mr. Churchill’s statement: You make communities by what you give, and the more you give, the stronger your community. Not only is giving back to our communities the right thing to do, it’s good business. Strong communities are vital to our success. The work we do for clients and the community enhances where we live and hopefully will improve the lives of our children and others who follow. Volunteerism and community involvement is part of our culture. At Investors Trust Company, we are involved personally and at a corporate level in many community activities; these include the Orange County Blood Drive, Habitat for Humanity, the Durham County Library Foundation, the Orange County Literacy Council, and the Family Violence Prevention Center of Orange County. Below are just some of the activities in which we are involved. 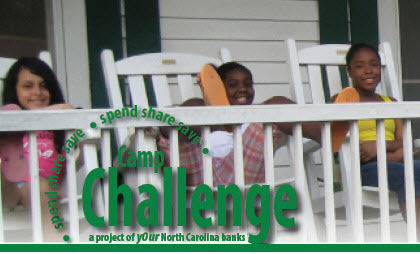 Investors Trust recently donated to the North Carolina Bankers Association Foundation's Camp Challenge which is a summer camp experience for high-achieving, low-resource students from across the state, celebrating its 20th anniversary in 2013. 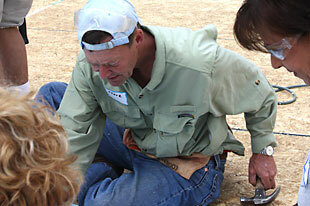 Since the program began, thousands of students have benefited from their experience at Camp Challenge. Annually, 400 students from across the state attended Camp at no cost to their families, thanks to donation money for all camp scholarships. Click here for more information about the Camp Challenge. 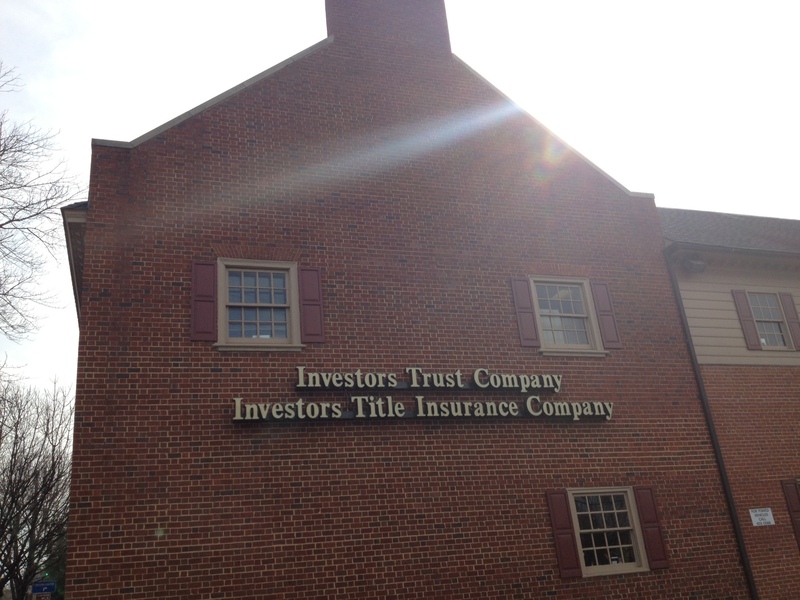 If you have a need to locate the Investors Trust office in Chapel Hill, a new sign has been added to the side of the 121 N. Columbia building. The sign can be clearly seen from the N. Columbia/Rosemary Street intersection. Investors Trust Company recently made a donation to the Harnett Food Pantry. For more information on how you can donate, please contact the Harnett Food Pantry at 910.893.7579. Investors Trust Company has made a donation on behalf of clients and friends to the Hurricane Sandy Relief Fund through Feeding America and the International Rescue Committee. Visit the Feeding America website here. Visit the International Rescue Committee's website here. Jane Turner, Shelly Gelberg, and Bill Collier recently participated in a holiday blood drive which the company hosted at its Chapel Hill location. 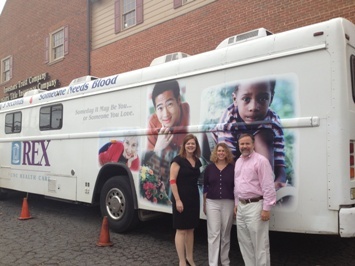 The Trust team regularly participates in blood drives hosted by the company. Below are some interesting facts about giving blood. 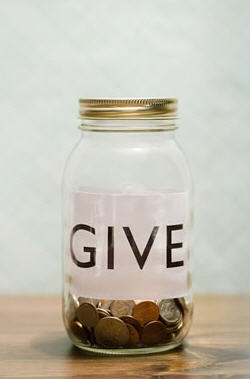 If all blood donors gave three times a year, blood shortages would be a rare event (current average is about two). The National Red Cross said its national blood supply is critically low - the greatest shortage it has seen in 12 years. The South Regional Library Periodicals room will now be known as the Anton and Valerie Schindler room, after a naming ceremony held on April 26, 2012. The Schindlers were researchers who worked at Research Triangle Park, and who valued the learning and space for contemplation and creativity embodied by the library. 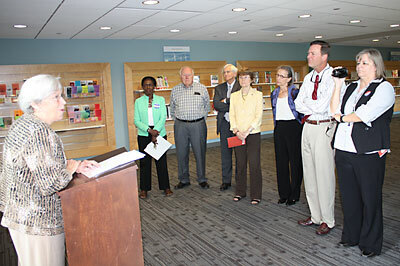 Dr. Schindler bequeathed more than $118,000 to Durham Library Foundation to support the library in its mission. Earlier in the day, Durham County Library Director, Tammy Baggett, unveiled a plaque identifying the outdoor artwork, 'Stephen’s Bent,' which is sited at the entrance to the library. The plaque commemorates the life of Mary D. Herndon, in whose honor and memory the artwork was commissioned. The C. M. Herndon Foundation donated $110,000 to Durham County Library in order to make the 17-foot structure a reality. Durham County Library provides the entire community with books, services and other resources that inform, inspire learning, cultivate understanding and excite the imagination. 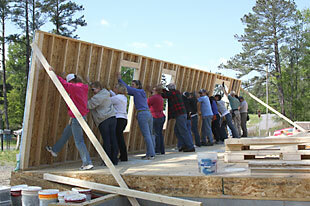 In March 2012, Eileen Marnell and Steve Pike participated in the Habitat for Humanity Chapel Hill "Build 2012". The new home is being built on Edgar Street in Chapel Hill.